Another amazing feature of the Nike 10R Air Legend boots designed after consultation with Ronaldinho is his personalised sole unit. 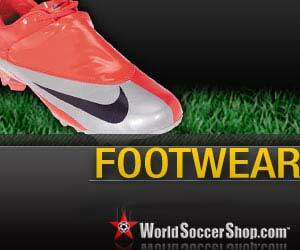 With its classic features the Nike Tiempo Ronaldinho 10R Football Boot is about strength and inspiration. Knowing what you are playing for and giving everything for the cause. It’s about skill, about speed. It’s for people who like to fly down the wing or surge through the centre of the park. Most of all it’s about joy. The sheer joy of football. It’s for people who understand it, believe in it, respect it. The Nike Tiempo Ronaldinho 10R wasn’t just made for Ronaldinho ,he created them. It was Ronaldinho himself who, at the Nike design centre grabbed a pen and drew a circle on the in-step of his old football boots. That was the size of the sweet spot he wanted and that’s just what the Nike Tiempo Ronaldinho 10R gives him. Ronaldinho grew up playing Brazilian Futsal. A game based on tight dribbling and absolute ball control with the sole of the foot. These are the skills he relies on today. At Ronaldinho’s request the Tiempo 10R’s highly polished, super smooth, classic black upper is made from the softest ‘K’ leather for ultimate feel and touch and revolutionary textured thermoplastic stud tips have been added to each stud in order to help grip the ball to maximise boot-sole ball control. To provide the expanded sweetspot , for which he craved, a unique five-eye lacing system was developed and this was covered with a super soft fold over tongue for purer ball contact and to further maximise this contact area the inner foot has been smoothed with an overlay creating ultimate passing precision.